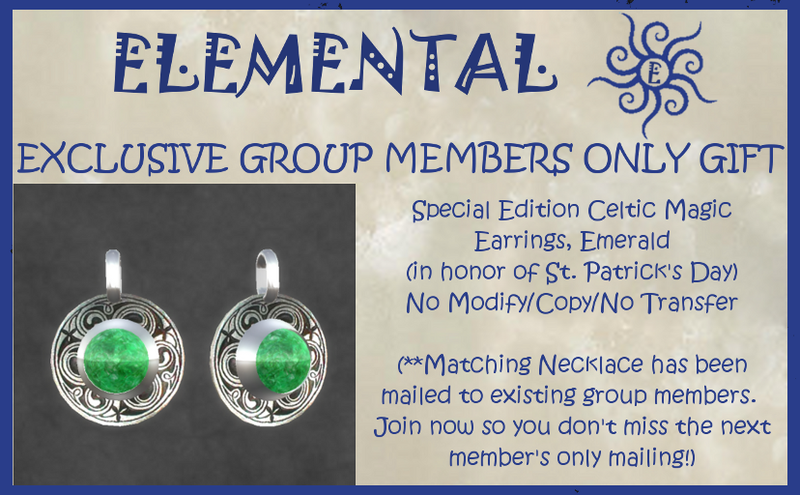 Elemental ~ Jewelry With Substance: It's The Luck of the Irish at Elemental Jewelry!! You wouldn't know it by looking at my name, but my ancestry is mostly Irish. So, in honor of St. Patrick's Day, which is celebrated on March 17, I have made a new group gift. It's a special edition of the CELTIC MAGIC EARRINGS in emerald and silver. If you are a group member, you can pick these up for free at ELEMENTAL JEWELRY. If you aren't a member yet, come join the group and pick up your first gift. The group invite box and the gift are posted in the usual place--on the right side of the Elemental doorway. BUT THAT'S NOT ALL! You will recall that I like to mail out special gifts to my existing group members in order to show my appreciation for their ongoing support. 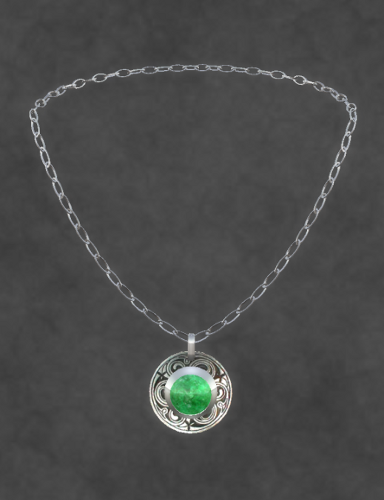 Well, I've mailed to each existing Elemental Jewelry group member a matching Celtic Magic Emerald Necklace. Nope, you can't pick this one up by joining the group at the last minute. 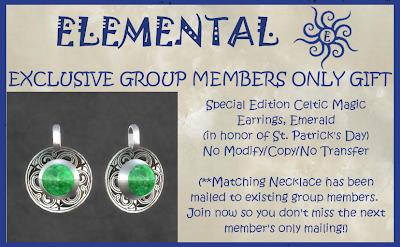 So, join the Elemental Jewelry group now and hang on to that membership so you won't miss out on future mailings. You just never know when those feelings of appreciation and generosity will strike!